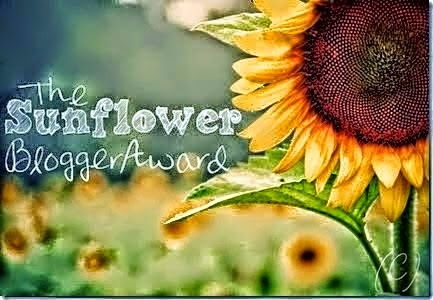 The Indigo Quill: The Sunflower Blogger Award! 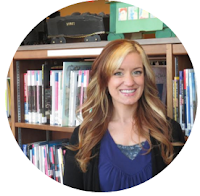 I have been tagged by Shannah at Book Reviews by Shannah. Thanks, girl! I'm honored you'd think of me! 1. I'm from the Ozarks. 4. His mother is also my voice teacher! 1. Where is your favorite place to read? I've kind of made my bedroom into a little magical fairy land. 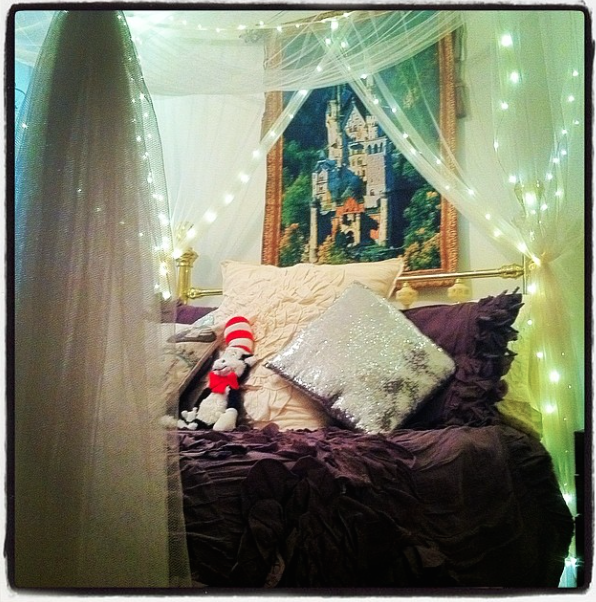 lol I love reading under my canopy and fairy lights and castle tapestry! 2. What are you looking forward to doing this summer? Well. I'm taking summer classes, so I'll be glad to have a break by taking a trip to West Virginia with Andrew and his family. 3. Do you prefer e-books or paperback/hardback books? Paperback/hardback books. Between the two I prefer hardback because they are easier to handle and wear down less. 4. If you could meet one historical person, who would it be? Amelia Earhart, so I could ask her what territory she was planning to cover exactly when she disappeared. 8. Do you love your job? Uhhhh.....lol Let's just say I'll be much happier when I'm surrounded by books all day. 10. Do you like to buy new books or are you ok with used? I'm okay with used as long as the condition is good. Unless it's a super old looking leather-bound book, then the older and the more worn, the better! 11. What have you learned about yourself lately? It's okay if I'm not where I would like to be at this point in my life. The point is that I'm still trying to get to where I'm going. 1. If you were transported in time to the setting of the last book you read, where would you be? 3. Are you going anywhere this summer? 4. Wallflowers, candles, or incense? 5. What is the worst book you've ever read? 6. Who is your favorite fictional character of all time? 7. Which fictional character were you hoping the author would kill off, and like, ASAP? 8. What book cover has appealed to you the most this year? 9. Are you a Whovian? 10. What's the airspeed velocity of an unladen Swallow? 11. If you would recommend ONE book for everyone to read, which one would it be?